Maulana Arshadul Qadri was gifted with mercurial temperament, he was dynamic and never felt complacent. He explored the east and the west and scrutinized and observed the potentiality of Islam among the non-Muslim communities. Allama Arshadul Qadri, an eminent cleric of the school of Brailwi thought and a prolific author, passed away on 29 April, 2002 at All-India Institute of Medical Sciences in New Delhi. He is survived by five sons and two daughters. Maulana earned grand fame for two of his works Zalzala and Zer-o-Zabar. 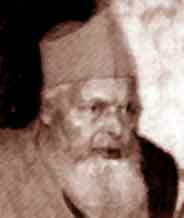 Maulana Arshadul Qadri was born on 5 March, 1925 in Syed Pura (District Baliya) of eastern UP. His father, Maulana Shah Abdul Latif was a noted graduate from Darul Uloom Hanafia, Jaunpur. He was sent to Ghazipur for higher education. It’s here that he spent most of his early age. His sister was married in Jaunpur, who later became a widow. She was remarried to Maulana Amjad Ali (author of Bahar-e-Shari’ah) and he accompanied his sister to Azamgarh. This was the age when India was undergoing political, social, national and milli revolution. The period between the first and the second world wars was extremely tumultuous. His elder brother, Maulana Ghulam Aasi brought him to Madrasa Ashrafia, Mubarakpur, which proved a major turning point in his life. In 1944, he got his post graduate (Fazilat) degree from Jamia Ashrafia. Maulana Shah Hafiz Abdul Aziz from Mubarak played a very significant role to educate him. He had been a distinguished orator and a prolific writer since the beginning of his student life. Since he was gifted with mercurial temperament, he was dynamic and never felt complacent. He explored the east and the west and scrutinized and observed the potentiality of Islam among the non-Muslim communities. He was desperately compassionate about the Ummah and founded many madrasas, mosques, institutions and organizations. On international level he organized movements such as World Islamic Mission, (London), Daawat-e-Islam (Karachi) and Madinatul Islam, the Hague (Europe). In India, Jamia Faizul Uloom, (Jamshedpur), Darul Ziaul Islam (Howrah), Darul Uloom Makhdumia (Guwahati), Madrasa Madinatul Uloom (Bangalore), Faizul Uloom High School, (Jamshedpur) and Jamia Hazrat Nizamuddin Auliya (New Delhi) bear evidence to his tireless efforts and concern for Islam and the Muslim Ummah. He had to suffer the hardship of prison for his journals Jam-e-Kausar and Jam-e-Noor in 1964, 1967 and 1979. Jam-e-Kausar was banned by the government for provocative writings against the members of the ruling party. Besides, he had his root in traditions, he was not an obscurantist. The first ever madrasa to introduce technical education, Faizul Uloom (Jamshedpur) is a landmark and it abridged the gulf between contemporary modern education and the traditional one. Bihar Madrasa Education Board owes much to him, because he facilitated the entire plan of the project and its construction. Maulana criticised and condemned the prevailing sectarian differences among Muslim community. Muslim religious schools are infested with sectarian elements. They can not go together even with one who belongs to their own school. The leadership of the Muslim community is disintegrating and it is rather emerging as a chaos. He believed that madrasas are preservers of Islam and its fundamental tenets in India and he was aggrieved over the madrasas lacking in ability to take initiative, high moral and the will power to excel. Madrasas are victims of pessimism, obscurantism, frustration and inferiority complex. They curse others to hide their fiasco.